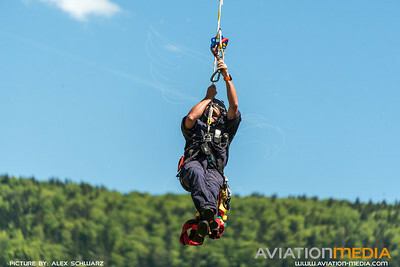 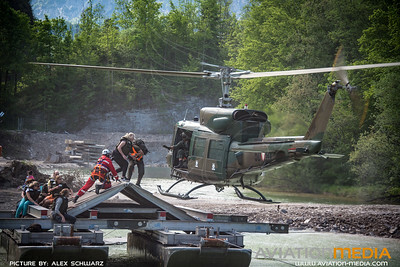 Adnet, a small town in Tennengau region close to Salzburg, Austria hosted the largest air rescue training in Austria on May 19th 2017. 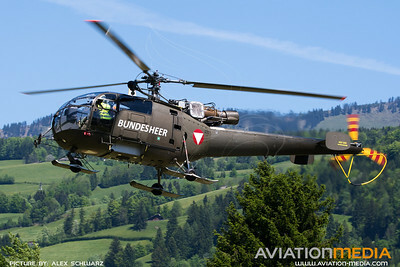 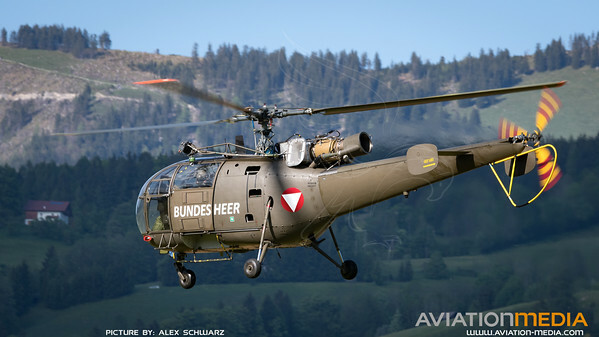 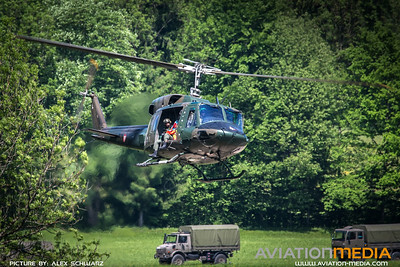 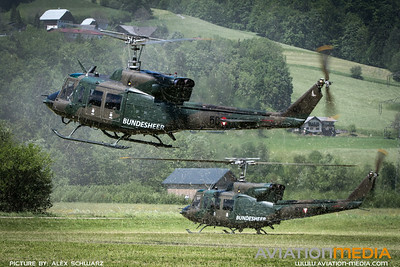 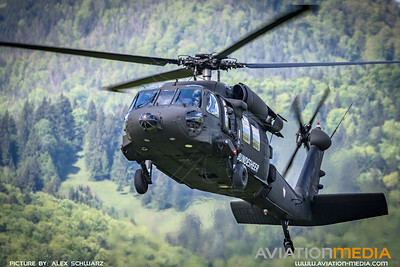 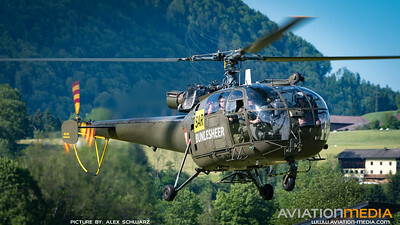 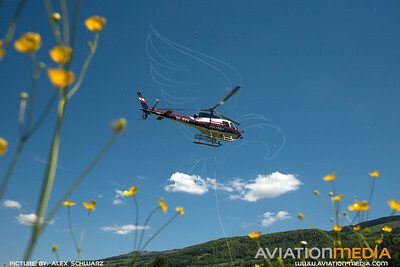 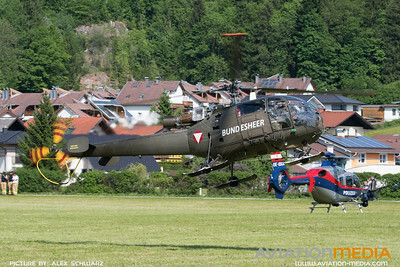 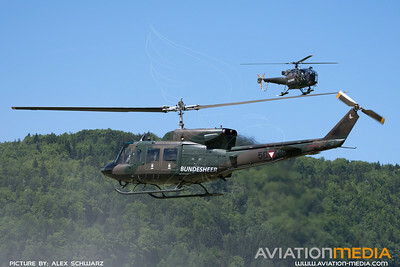 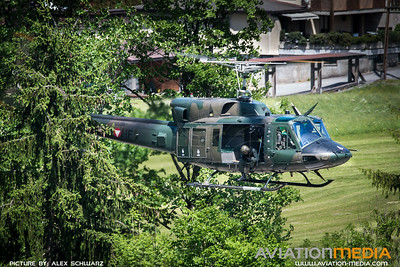 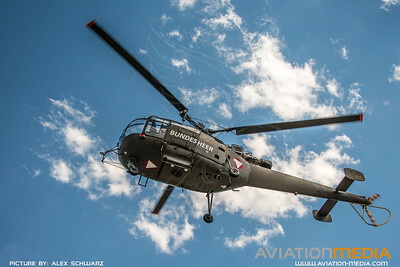 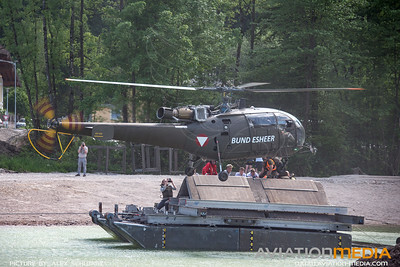 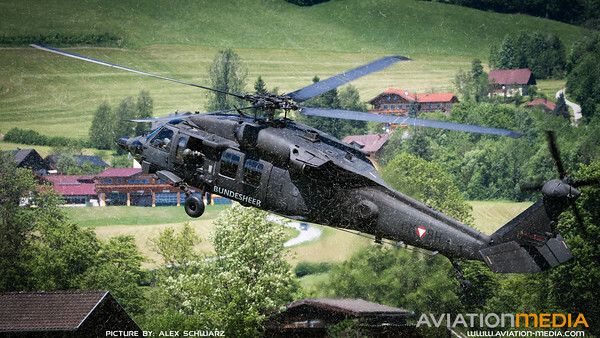 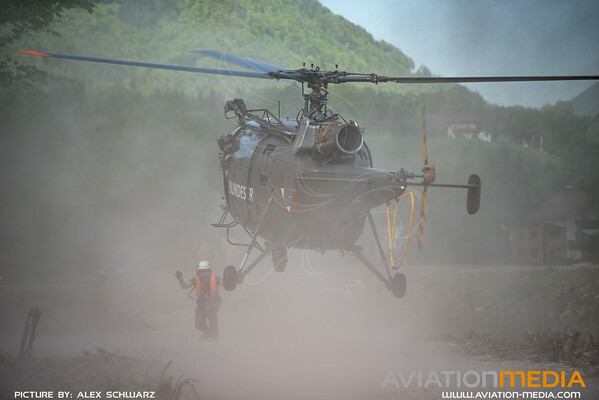 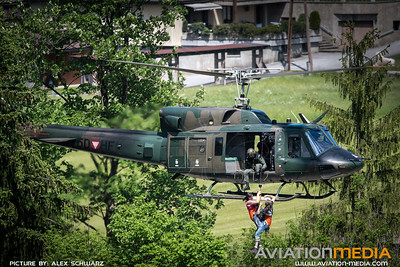 Overall 15 aircraft and 250 soldiers of the Austrian Air Force participated in this evacuation drill. 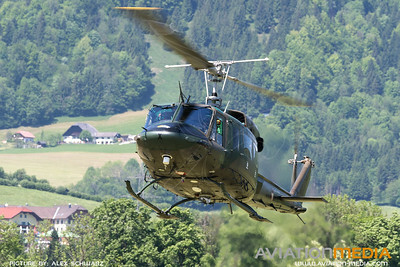 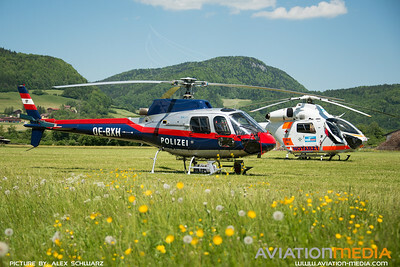 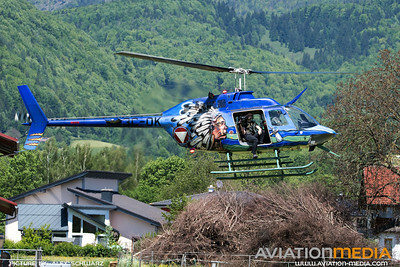 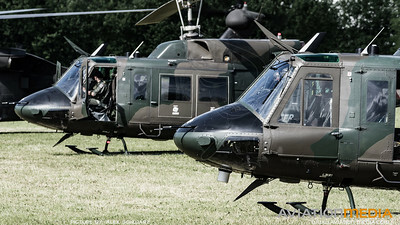 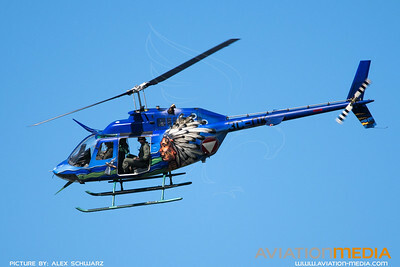 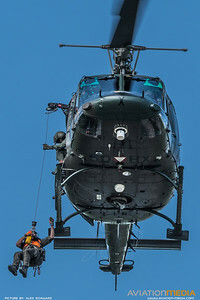 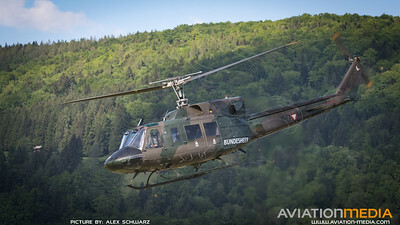 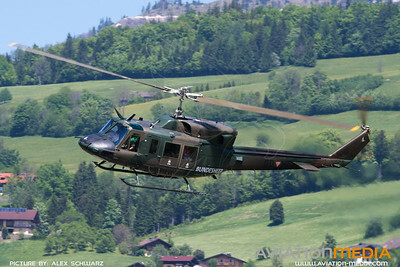 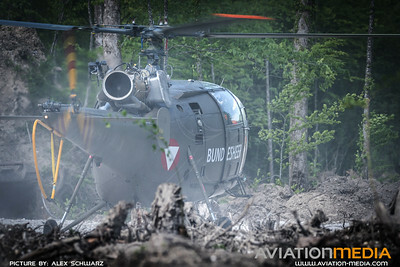 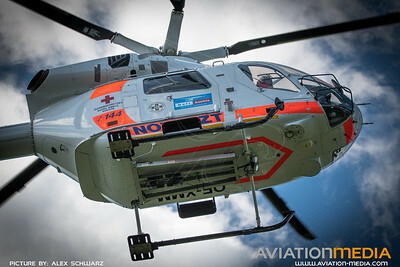 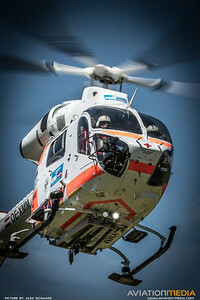 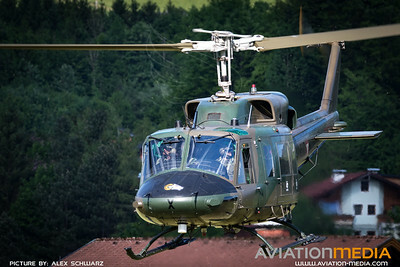 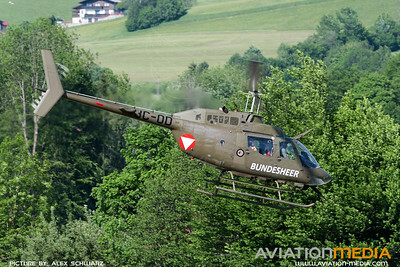 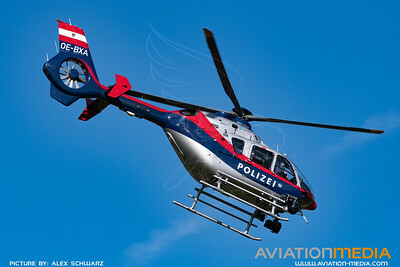 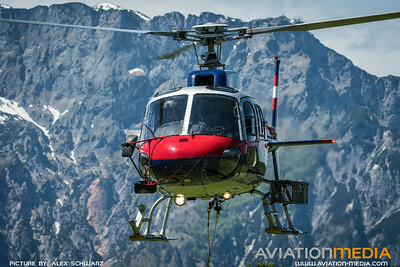 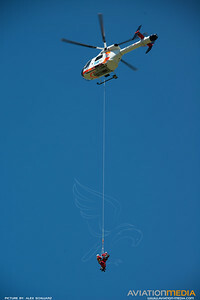 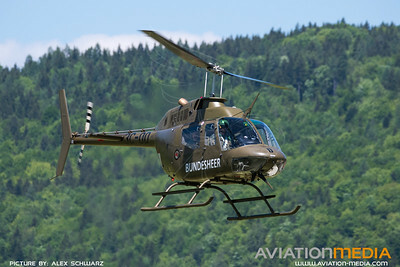 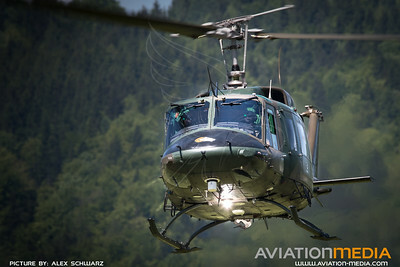 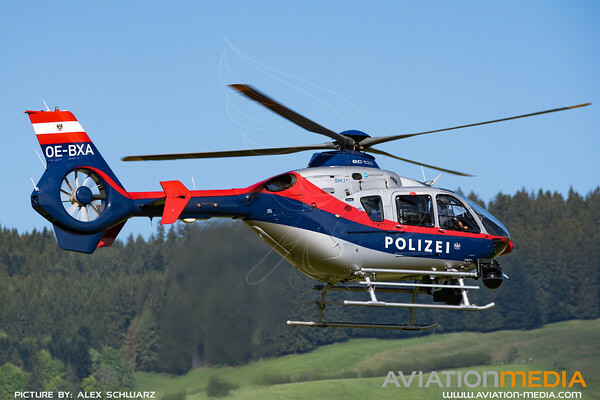 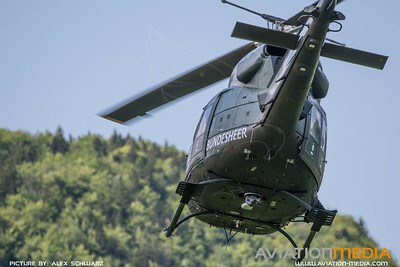 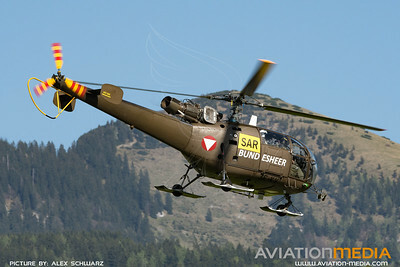 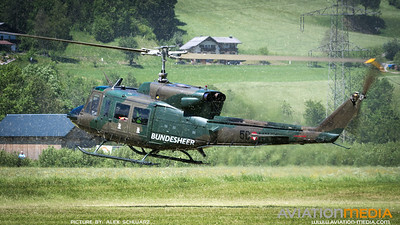 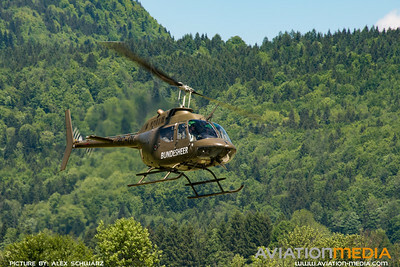 Besides the aircraft from the Austrian Military several Helicopters of the Police and a civil MD900 from the rescue company Heli Austria took part as well. 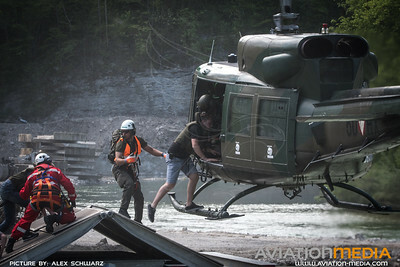 The scenario was described as a heavy flooding which threatens an area with approx. 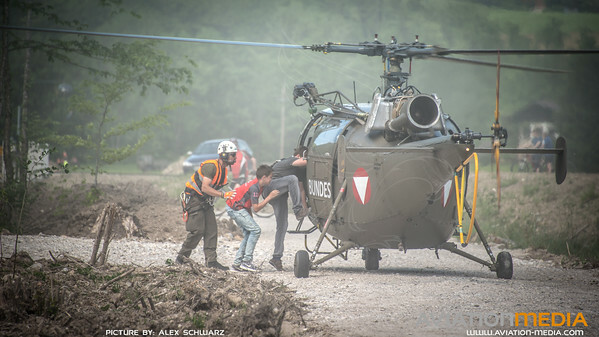 200 people thus requiring their evacuation. 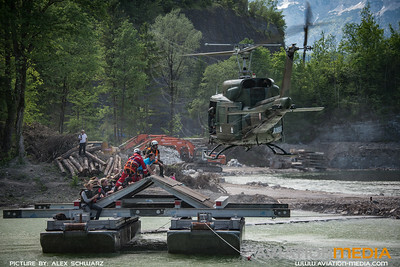 As part of this scenario it was planned to rescue persons with winches from the roof of a flooded house, from an island in the river, people from cars in the water and – to add another level of complexity in the dense planning – of persons locked in the cellar of a house threatened by flooding. 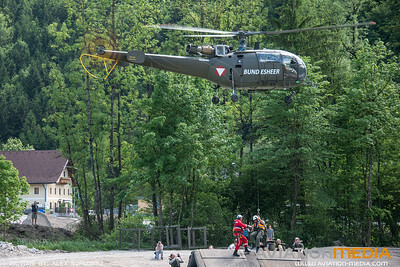 The training exercise was very well organised by OberstDG Peter Schinnerl and reviewed and visited by Hans Peter Doskozil – Minister of Defence, Wilfried Haslauer – Prime Minister of Salzburg Region and as well several majors of cities and communities in the Salzburg area and of close by towns and communities in Bavaria, German.